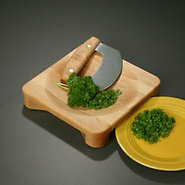 Joseph Joseph - Tri-Scale Folding Kitchen Scale Add an extra layer of precision to your cooking with this tri-scale from Joseph Joseph. 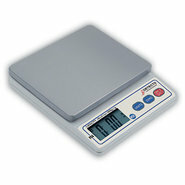 It's perfect for weighing sugar or flour for delicate recipes where measuring alone isn't accurate enough. Martha Stewart - Stainless Steel Digital Scale, Created for Macy's Bring precision to all your culinary creations with this Martha Stewart Collection scale with digital technology for when exact measurements are key to baking success.
. - Tabla Ultra Thin Scale, 11lb The Tabla is a compact full featured scale. 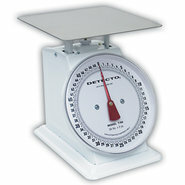 The scale's digital readout displays in pounds ounces fluid ounces or milliliters. The Tabla is ultra thin and easily storable. 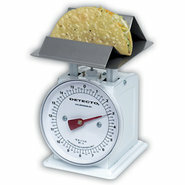 Generic - Detecto Mechanical Dial Scale with Taco/French Fry This mechanical dial scale makes perfect sized tacos and keeps french-fry portions in check. Generic - Detecto Small Mechanical Dial Scale Keep food costs down by controlling portions with this mechanical dial scale.
. - Rondo Stainless Steel Scale, 11lb The Rondo is made from high quality stainless steel for long lasting beauty and performance. 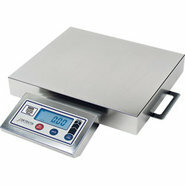 Hotel Collection - Digital Scale, Created for Macy's Bring digital control to your kitchen with this scale from Hotel Collection capable of measuring up to 6.6 pounds of ingredients for recipes that need precise amounts.
. - Mercado Dial Scale with Plate, 132lb This Mercado dial scale features accurate measuring with a plate attached for a weighing platform. 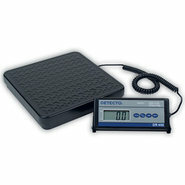 This analog scale does not require batteries and has a shatterproof dial cover. 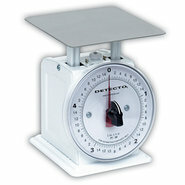 Generic - Detecto Large Mechanical Dial Scale Bring on the big stuff. This large kitchen scale handles more mass to keep costs low. 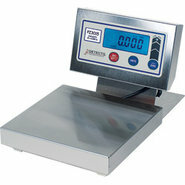 Generic - Detecto Commercial Digital Scale for Receiving Accurate and reliable this commercial digital scale will quickly pay for itself. 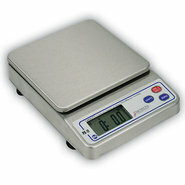 Generic - Detecto Stainless Steel Digital Portion Control Sc The digital display on this Detecto digital scale looks good. Favorable food cost numbers look better. Generic - Detecto Digital Receiving Bench Scale Built to withstand rugged industrial environments this kitchen scale is perfect for inventory purposes weighing bulk commodities or shipping and receiving departments. 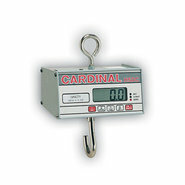 Generic - Detecto Hanging Digital Scale ? 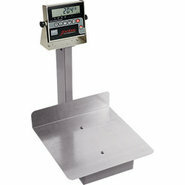 Legal for Trade This legal scale is certified for trade and simple to use. Generic - Detecto Digital Pizza Dough Scale - 30 lb Capacity In addition to saving you dough this single piece of pizzeria equipment will prevent the spread of germs and reduce prep time. Generic - Detecto Digital Pizza Dough Scale - 60 lb Capacity An essential in commercial pizza supplies this big boy can handle up to 60 pounds of dough.